When was the last time you had an Oreo (or an entire row of Oreos)? If it was last night this may anger you. If you are not a fan this may bring you back to the franchise. 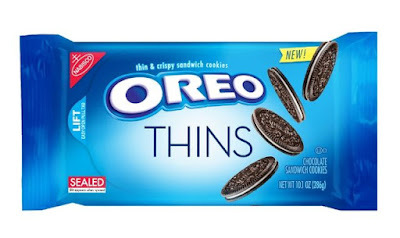 Oreos have been hitting the gym and focusing on cardio to thin down in an attempt to reposition them as a more adult snacking option. "The brand suggests pairing them with a latte or cup of tea rather than the traditional dunk into milk." And if you are double stuffed fan, don't worry, the other Oreo options aren't going anywhere anytime soon.